Mel graduated from the University of Saskatchewan with a PhD in psychology, in the Culture, Health, and Human Development program. She is interested in health-related research and program evaluation, and her research spans a variety of topics. For her PhD (supervised by Dr. Pamela Downe), Mel examined women’s experiences with pregnancy, childbirth, and mothering, and in particular how different childbirth-related options and experiences are understood morally. 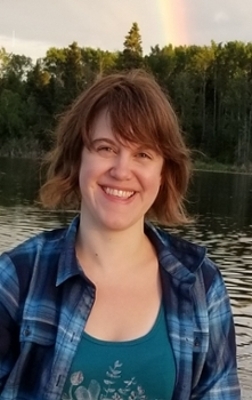 Mel is currently a postdoctoral fellow with the RaDAR team at the University of Saskatchewan, whose mandate is to strengthen dementia care and support in rural settings. Mel’s postdoctoral work involves a scoping review of the supports and education available for people with dementia and caregivers in rural areas, an investigation of well-being for people aging alone with cognitive impairment, and the evaluation of RaDAR’s Rural Primary Health Care Dementia Model from the perspectives of patients assessed for dementia and their families. Mel is passionate about both teaching and research, and has training in quantitative and qualitative research methods. Campbell, T., Bayly, M., & Peacock, S. (Submitted June 2018, under review). Nurse practitioners: The right provider in long-term care facilities in Saskatchewan, Canada. Submitted to the International Nursing Review. Froehlich Chow, A., Morgan. M., Bayly, M., Kosteniuk, J. & Elliot, V. (Submitted May 2018, under review). Collaborative approaches to team-based primary health care for individuals with dementia in rural and remote settings: A scoping review. Submitted to the Canadian Journal on Aging. Bayly, M., & Downe, P. (Submitted March 2018, under review). “Most often people would tell me I was crazy”: Defending against deviance ascribed to alternative birth choices. Submitted to the Journal of the Motherhood Initiative. Bayly, M., Forbes, D., Blake, C., Peacock, S., & Morgan, D. (In press. Accepted May 2018). “The buzz word is best practice, but sometimes you cannot find the supporting evidence for it”: The development and implementation of dementia-related iKT strategies in rural home care. Submitted to the Online Journal of Rural Nursing and Health Care. Sangster, S., & Bayly, M. (2016). “Anarchists”, “naturalists”, “hippies”, and “artists”: Beliefs about midwifery care and those who choose it. The Canadian Journal of Midwifery Research and Practice, 15(2), 38-46. Retrieved from http://www.cjmrp.com/home.